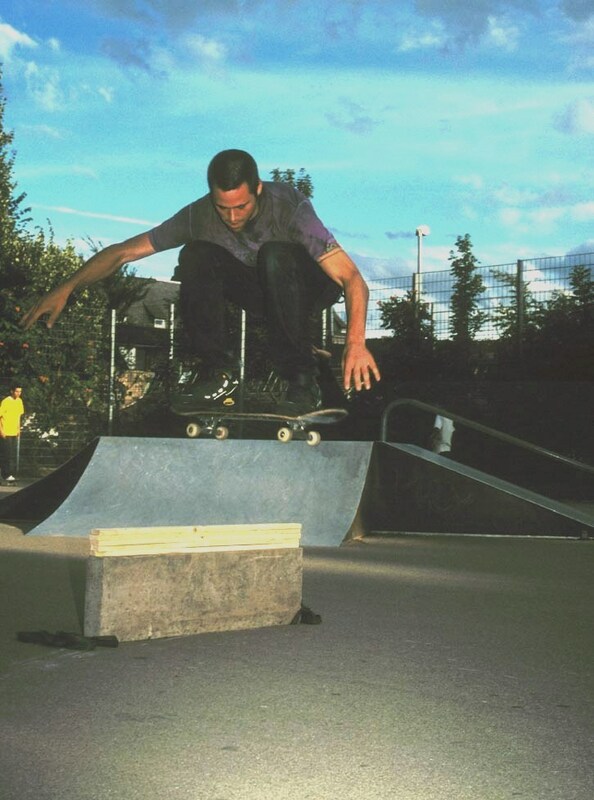 Boris Steffen beim Highest Ollie Contest in Ettlingen 2001 mit viel Luft zum Obstacle. Das war in der Anfangsphase des Contests. Boris Steffen during the highest ollie contest in Ettlingen 2001 with lots of room to spare. That was during the start of the contest.